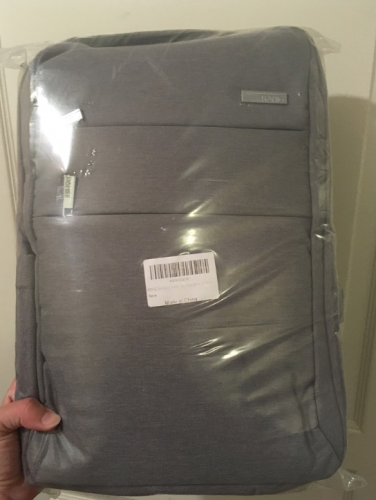 Anyone who has a laptop or needs a bag to hold their gear knows how important it is to find a quality bag that can hold up to the daily wear and tear of life. 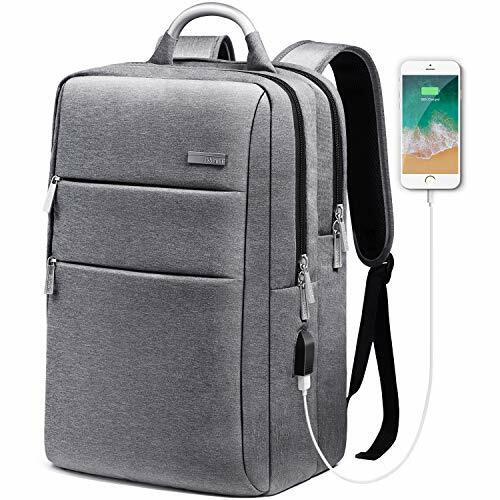 The HOMIEE backpack has everything you need from a USB charging port to waterproofing all while being incredibly comfortable. 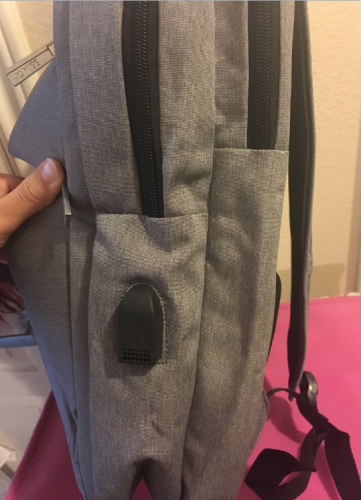 This HOMIEE bag is built well, which you can tell by the fabric it’s made out of, how easy the zippers slide, and the metal handle across the top that feels really durable. All of the inner materials and straps also feel sturdy as well, which is surprising considering this backpack is under $40. It expands quite a bit depending on how many things you have to carry on your travels. 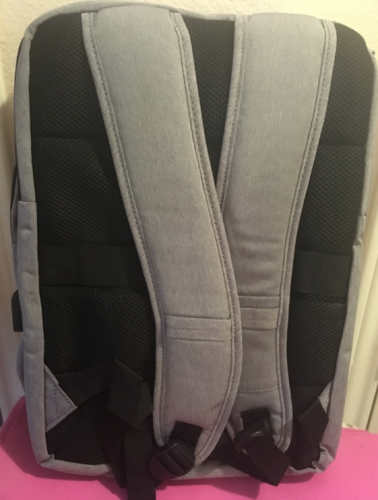 It has a bottle holder as well along with having great airflow, so even on warm days, your back will stay cooler. 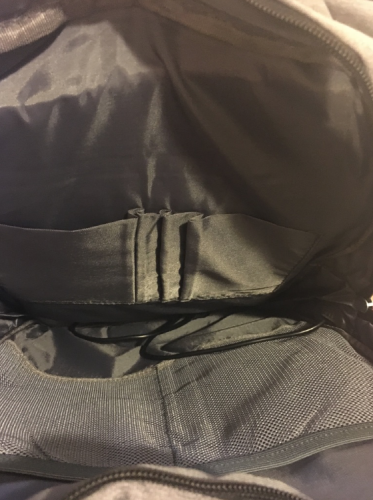 There’s even a small pocket that’s located behind your lower back when you’re wearing it, which is designed to right theft. There’s also a cardholder in the shoulder strap for easy access along with a glasses band so you can hang your sunglasses. On top of that, there’s a strap through the back so you can attach to your rolling luggage. One of my favorite parts of the HOMIEE backpack is how comfortable it is. It’s up there with my expensive hiking bags. The straps do not scratch my shoulders and it doesn’t get in the way of my arms swinging. I wore it while doing multiple errands around the city for a few days and barely noticed I was wearing it, even when I had a full bag. The HOMIEE backpack has a wide variety of storage space. It has one main component with a laptop-securing strap. 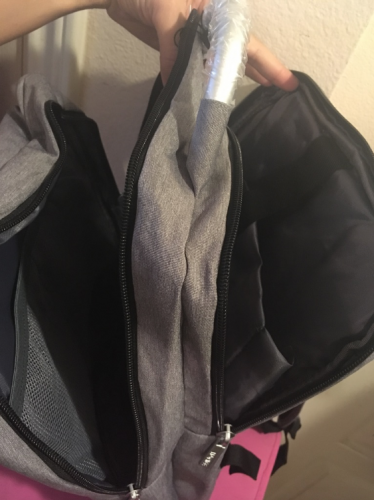 Then it has another storage compartment of the same size with smaller compartments along the side for fitting in things like wallets, small notebooks, pens, etc. The large compartment can fit laptops and notebooks up to 15.6″. For the charging port, you need your own portable battery. 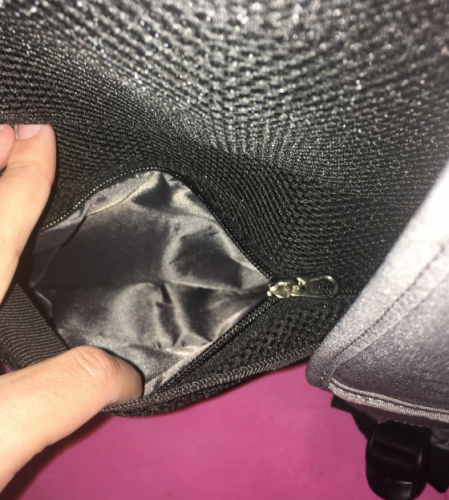 You take your portable battery and plug it into the inside of your backpack and then plug your device into the USB port on the outside of your backpack.